The Get Well Soon Tour is a brand new intiative spearheaded by super producer Benny Blanco that aims to bring music to sick kids to brighten their day and lift their spirits. Over the next few months, the Get Well Soon Tour will organize small acoustic performances in Children's Hospitals around the country that will feature some of the biggest names in music. The first Get Well Soon event was held in February at the Mattel Children's Hospital at UCLA in Los Angeles. Kids staying in the hospital received a private screening of Justin Bieber's Never Say Never concert movie, and none other than the teenage crooner himself surprised them with a special meet and greet after the screening. Truly touching and heartwarming. 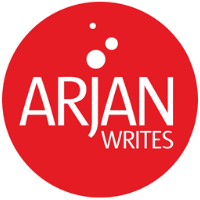 ArjanWrites.com supports this important cause that underlines the power of music and how it can lift people up. Stay tuned for updates about the Get Well Soon Tour.